After meeting Myrtle Dwyer for just a few minutes, you feel like you have known her for years. But that’s a craft that has served her well in her more than 30 years in the hospitality and tourism industry. I remember waiting for my job interview 24 years ago for a position as an Administrative Assistant. I sat ready and waiting to impress, having time to reflect on what was to come. On entry to her office, I noticed how busy she was in her role as Executive Assistant Manager. She greeted me with a warm smile and I immediately felt at ease. In the middle of the interview there were several incoming calls, but what impressed me the most was her ability to speak fluent German with one of the callers. Immediately the tables were turned. "How long have you been speaking German? Where did you learn? Was it difficult to learn?”, and thus the journey began, with this dynamic tourism professional. 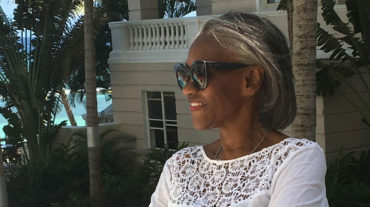 Years later, it was quite easy for me to sit and dig into that rich and fertile mind to gain some insights as to what distinguishes her as a Chief Destination Concierge, one of the many hats that she wears. Why a Chief Destination Concierge? A concierge caters to various types of clients providing an extraordinary service with great attention to details, above all, this person is knowledgeable on the area of expertise with easy access with whatever the customer desires. Service excellence and effective communication are the basic requirements. The Chief Destination Concierge knows the location well and leads a finely tuned team, able to deliver in a timely manner. What are some of the requests that are presented? A young man is totally in love with his fiancé and wants to pop the question in a uniquely intimate and memorable location, with the right setting just for two. Though the budget is small, he wants to create the right impression and we are experienced in working with all budgets. We selected the perfect spot in Lethe and off they go for a half an hour ride in an all-terrain vehicle to this quaint farming community where the couple boards a beautifully decorated bamboo raft with tropical florals. The raftsman guides the craft skillfully as the two are enchanted by the natural beauty and charm of the Mountain Valley Great River. They pause to enjoy a foot massage and a second raft pulls alongside them with a musician strumming his guitar belting out love songs. He pauses and the young man pops the question; his fiancé is bowled over by this amazing gesture. The experience is coupled with a picnic at Rhea's World - the start of a glorious journey together. Family time is even more special with the busyness of life - How does one create an experience that can be enjoyed by all? A trip to Negril sets the right tone for the entire family - a private tour is always encouraged so that stops can be made at leisure for tasting coconut water or a chat with farmers on their small tracks of land, or a walk about Lucea to view the Old Fort or the timepiece which was destined for Saint Lucia. Destination is JamWest with its full menu of activities for everyone - 4x4 vehicles to traverse the 300 acre estate all the way to sea; adrenaline pumping reggae zipline or rock Jeep Safari, taking in what nature has gifted the Island of Jamaica. A nature walk takes you to the natural mineral spring and a dip in the pool revives tired feet and cures aching bodies. The little ones will enjoy bird- feeding time but this session is great for all ages. A sumptuous Jamaican lunch is provided right on location. The Negril tour could end at Salmon point or Rick's Cafe where sunsets must be captured. They are many and varied. Some persons enjoy sitting on the wall of the Parish Church in Falmouth enjoying a Jamaican Juicy beef, chicken or vegetable patty, combining the spice with Jamaican fruit punch, sugar cane juice or a Red Stripe beer. A farm-to-table lunch or dinner with family always leaves lingering positive memories. Watch the farmer go about his daily chores of planting and reaping and even participate. The produce is taken from the farm and a fresh tasty meal is prepared. Everyone gathers at the family table exchanging great Jamaican stories over a great home-cooked meal. The day draws to a close and a game of cricket or football takes centre-stage, while mixing with the country folks. An end to a memorable experience. An accomplished Senior Executive in the Tourism industry with thirty plus years, experienced in hotel operations and destination management, Ms. Dwyer specializes in Sales & Marketing, accomplishing many successes with an innovative integrated approach through service excellence and effective communication. She is an expert at planning and managing events and stays for major Heads of Government, dignitaries and other VIPs as well as major conferences; rebranding campaigns and new hotel openings. 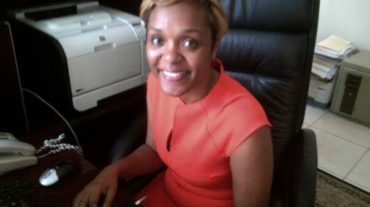 Through research, creativity and experience she crafted the document for the launch of the first Destination Management Company in Jamaica over twenty seven years ago; motivational presenter to students; young professionals and entrepreneurs to get them engaged in thinking outside the box in relation to their profession. She believes strongly in the fact that a sound education is the foundation for soaring amazing heights without being bound by tradition. Age does not limit success if one endeavours to move actively in the direction of your dreams. Glamour Luxury Destination Concierge is strategically headquartered in the tourism mecca of Montego Bay, Jamaica – one island with several amazing destinations. We provide limitless access to the many shades of the country, be it serene and scenic to vibrant and vivacious. The company provides services throughout the island of Jamaica. The full menu offers services that include private ground transportation, expedited and VIP airport arrival & departure, Customized tours & excursions, accommodation rate negotiations, meetings and events planning among a wide array of other services. Jamaica has a celebrated history of superior customer service and Glamour keeps the history alive by continuously exceeding clients’ expectations with intuitive high-touch service! The company also prides itself on its social responsibility with its environmentally friendly and community outreach programmes - “Partnership with a Mission”. Dynamic and easily accessible from most international gateways, Jamaica continues to be the premier Caribbean destination of choice for planners, travel agents and clients alike. With exceptional spaces and venues, extensive accommodations, a rich cultural heritage, a wealth of activities and attractions, and of course, perfect year-round weather – the island is truly the best destination to meet, for business and pleasure and romantic escapes. For more information, please contact Glamour Destination Management.